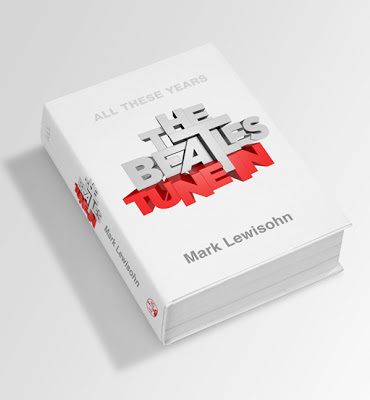 This is a very disappointing cover, one that doesn’t do justice to the high expectations surrounding the release of this long-awaited Beatles book. Someone of Lewisohn’s standing should get better than this. It comes out later this year. Meanwhile, the Linda McCartney book Linda McCartney: Life in Photographs has been released in electronic/digital form on iTunes. The collection was produced in close collaboration with Paul McCartney and his children. When it first came out in hard copy the McCartney family released a YouTube video talking about the book. This entry was posted in Beatles, Beatles Books, Beatles Collecting, Beatles Music, Linda McCartney, Paul McCartney and tagged All These Years, Beatles, Beatles Books, Beatles Collecting, Linda McCartney, Linda McCartney Photographs, Mark Lewisohn, Music, Paul McCartney, Tune In by beatlesblogger. Bookmark the permalink. I’ve read in a couple of different locations: THE BOOK IMAGE SHOWN MAY NOT BE THE FINAL BOOK COVER USED. I personally don’t mind the simplicity of it. We’ll soon see! !